1.Add half of the boiled milk in the flame and let the dates become soft. 2.When its cools grind coarsely. 3.Now take a heavy bottomed pan add the remaining milk with condensed milk and the ground paste. 4.Let it boil for few minutes and it will come to kheer consistency. 5.In-between heat up ghee with cashews and raisins. 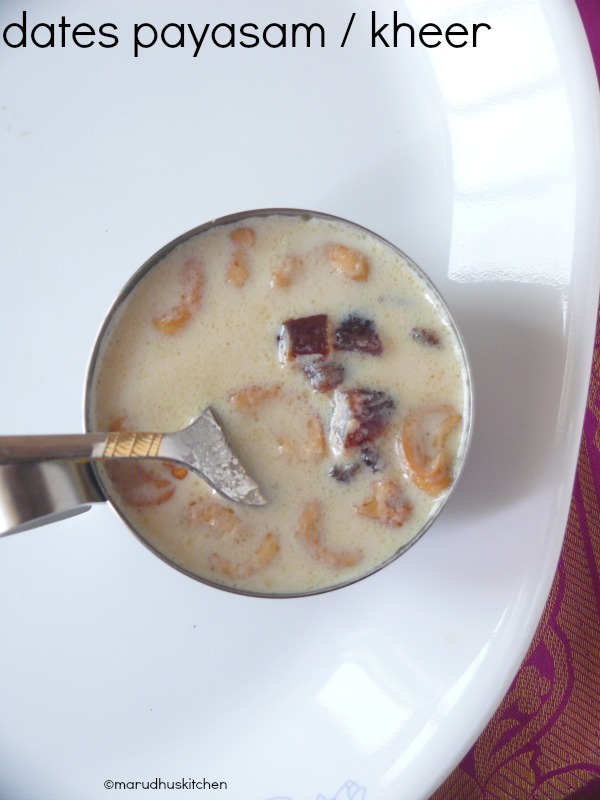 6.Add chopped dates to payasam. 7.When cashews brown add this to the payasam and switch off . Add half of the boiled milk in the flame and let the dates become soft. When its cools grind coarsely. Now take a heavy bottomed pan add the remaining milk with condensed milk and the ground paste. Let it boil for few minutes and it will come to kheer consistency. In-between heat up ghee with cashews and raisins. Add chopped dates to payasam. When cashews brown add this to the payasam and switch off the payasam. Instead of condensed milk you can use any other sweetening agents. 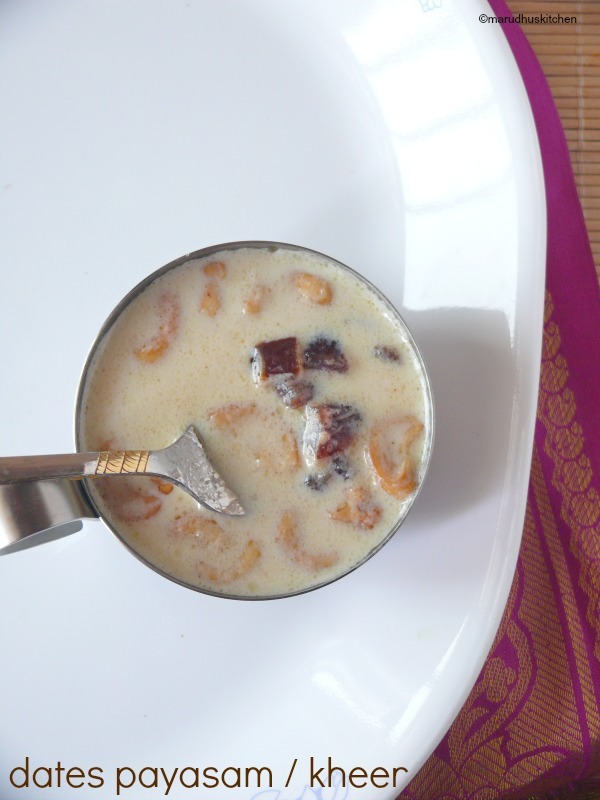 No need to add cardamom powder for this payasam. You can use even badam and walnuts instead of cashews.